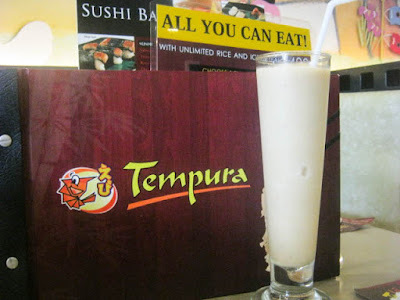 Craving for some Japanese food with reasonable price and deliciously fresh dishes? Located at Banawe, Quezon City, Tempura Japanese Grill serves different Japanese delicacies with a long line-up of their signature dish - their Tempura dishes. 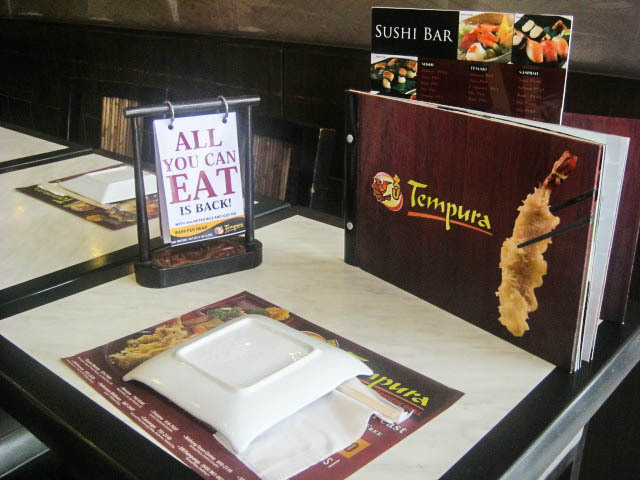 Tempura Japanese Grill is located along the busy street in Banawe, Quezon City. 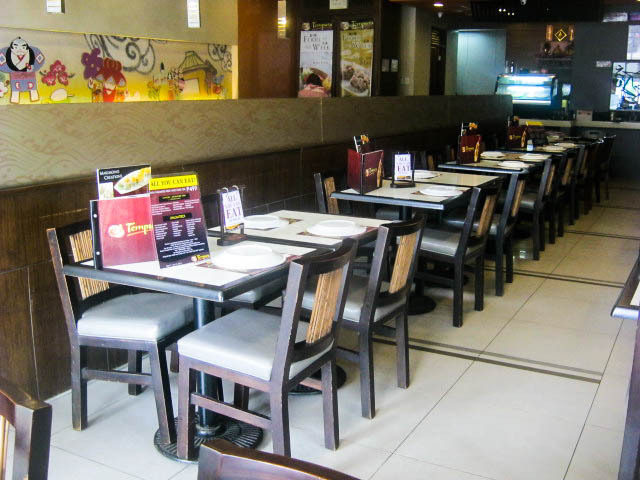 They also have other branches such as in TriNoma, Bonifacio Global City, Alabang Town Center, SM Mall of Asia, Convergys Makati, U.N Avenue in Manila, SM City Pampanga and in SM Cebu. 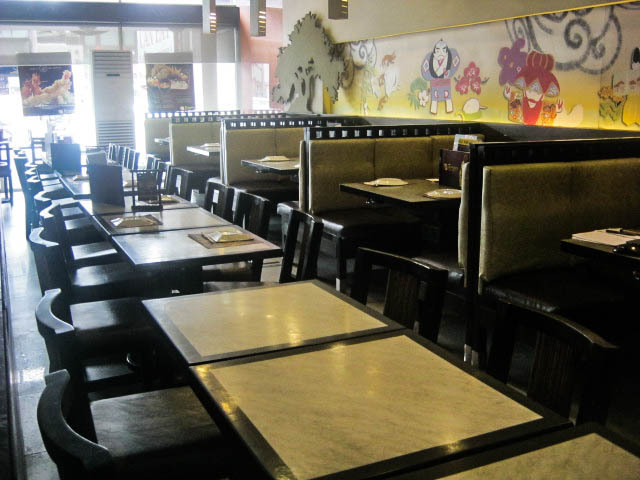 Here at Banawe branch, with more than 60 people can be accommodated inside, it has a modern Japanese interiors with Japanese-inspired murals on the walls. It is also a perfect place for the families to spend a lunch or dinner since the restaurant is big and can accommodated many guests. 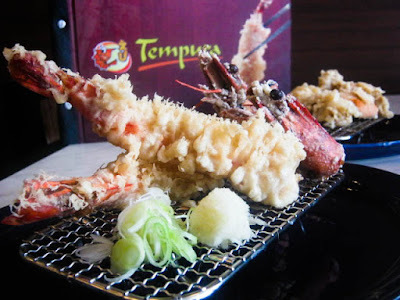 Tempura Japanese Grill recently updated their menu with a new list of Japanese dishes available. 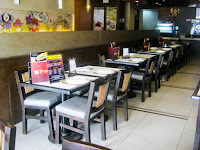 One of them is adding their Premium Tempura dishes and of course, it wouldn't be complete without trying their dish on with the restaurant has been known for. They have four different Premium Tempura, price ranges from Php 250.00 to Php 480.00. 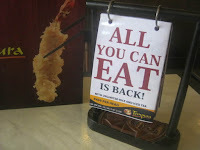 King-Size Prawn Tempura (1pc at Php 250, 2pcs at Php 480) - King-size fresh black tiger prawns, deep-fried in a crispy batter. Really delicious. It is Tempura Japanese Grill's signature dish. Hokkaido Giant Oyster Tempura (Php 285.00) - Deep fried in a crispy batter, they used fresh giant oysters imported from Japan. 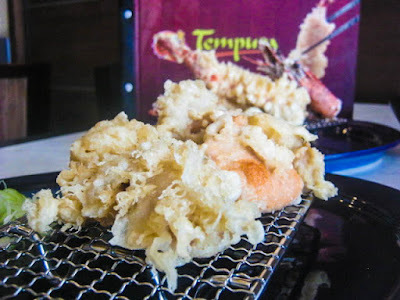 It's my second favorite tempura dish here with the King-size Prawn Tempura as top of my list. 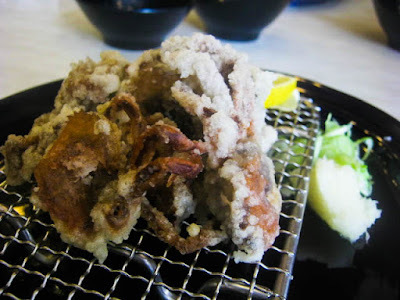 Soft Shell Crab Tempura (Php 325,00) - Soft shell small crabs deep-fried and coated with batter. 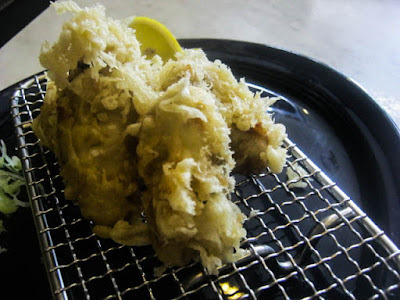 A perfect Tempura dish to try for those who are looking for something new. Japanese Sea Scallops Tempura (Php 360.00)- Fresh seawater scallops imported from Japan, also deep-fried and with crispy batter. Aside from their premium line-up of Tempura dishes, they also have other Tempura varieties such as prawns and vegetable tempura. It wouldn't be complete without trying some of their refreshing drinks and dessert. Banana Nut Shake (Php 90.00) - If you are looking for some refreshing shake, try their Banana Nut Shake, very yummy plus served in a tall glass. A refreshing drink to try. They also have Four Season, Mango, Cucumber Mint and Watermelon Shake. 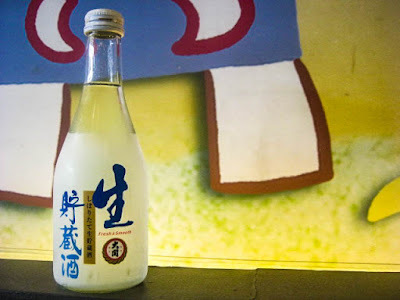 Sake (Php 330.00/bottle) - ready for some drinking session with friends? Order their sake but be sure you are able to tolerate some alcohol since this sake is very strong. They also serve our local beer. 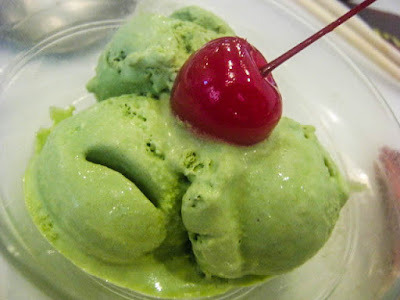 Green Tea Ice Cream (Php 80.00/3 scoops) - If you are craving for some dessert, Tempura Japanese Grill also serve mouth-watering desserts and one of them is this green tea flavored ice cream. They also serve Praline Mousse Ganache, Coffee Jelly and Molten Lava Cake. 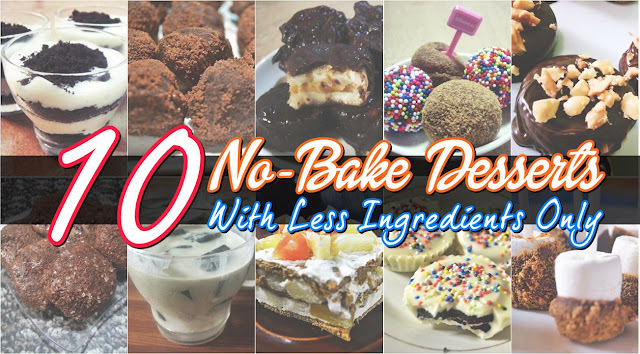 Be sure to also try their Lava cake as its exquisitely delicious! It is indeed Manila's Best Tempura is located here at Tempura Japanese Grill as they serve mouthwatering Tempura dishes. 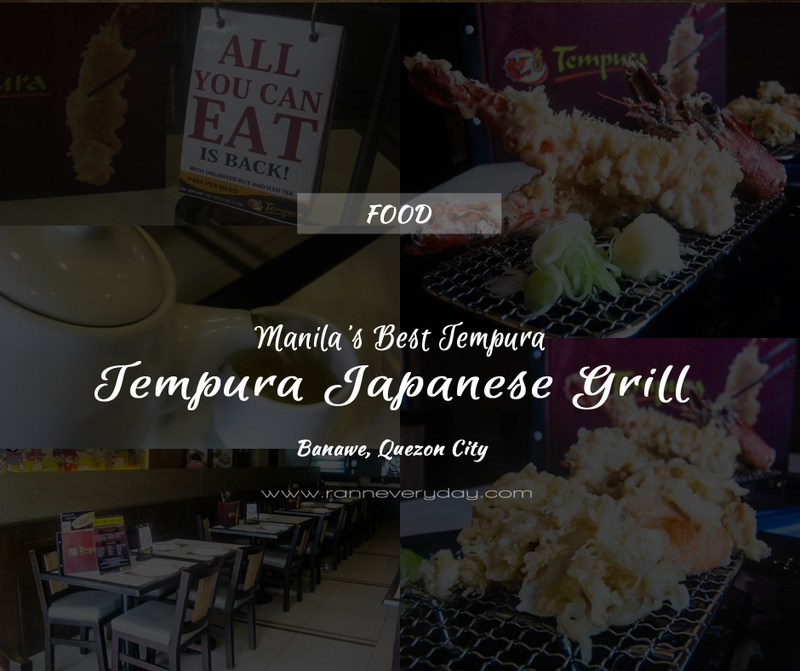 And if you are craving for some Japanese dishes, be sure to check out Tempura Japanese Grill and try their delicious dishes! Food and Lifestyle blog which features reviews, easy-to-cook dishes & dessert recipes, events and more. Lets Celebrate my Birthday! #NovemberTreat Giveaway! 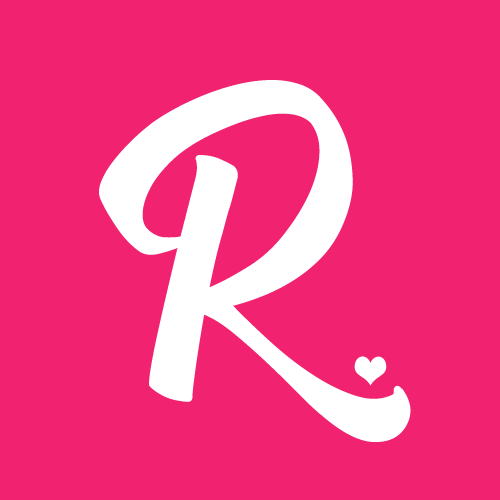 © Ranneveryday ヅ. Powered by Blogger.